Already in the Hanseatic times the food supply was mainly dependent on local produce, however some of the products and spices brought by Hanseatic merchants from overseas significantly changed the medieval menu. And it wasn’t only about spices – new recipes were also brought in changing the way many products were cooked. In the modern culinary local ingredients have a great potential and they become more and more important in creating the unique gastronomic experience as local and seasonal produce tend to be tastier and healthier, and they also add an emotional value to the culinary product. In this section you can find some local products worth tasting when visiting our cities and also a good choice to bring back as souvenirs. 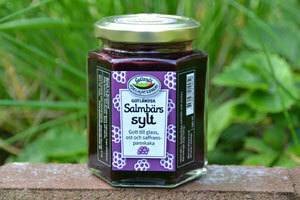 A kind of blackberry jam, but from a special berry only growing on Gotland. The traditional jam to our saffron pancake. Where to buy? In most supermarkets, at the producer’s shop at Kaungs, Väskinde. 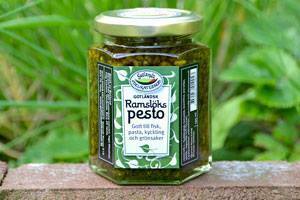 Ramsoms grows wild on Gotland. Used in soups, sauces, dressings and pesto. Harvests in early spring. Where to buy? Kvinnfolki and Wisby Ost in Visby, at the producer’s shop at Kaungs Väskinde. Black truffle grows on Gotland and is the real speciality of the autumn with its own festival in November. 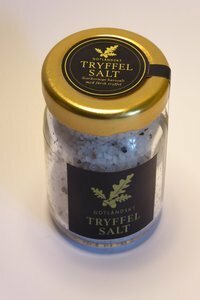 Salt flavoured with truffle could be used for all kinds of cooking. Where to buy? Wisby Ost, Jessens Saluhall and in the Tourist Information Centre in Visby. 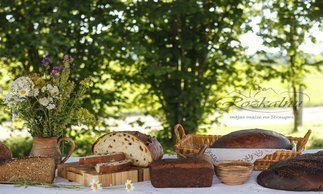 Bread is baked from Latvian organic whole grain wheat and spelt wheat whole grain flour. Made with natural leaven (sourdough), without the addition of bread yeast. 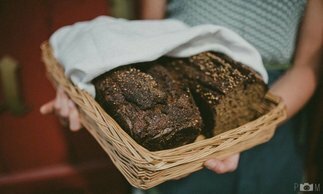 The owner invites for bread tasting and for short story about the composition of healthy bread, fermentation and baking. Preferably groups of up to 12 people. The first brewery was located in the Cesis castle, 1590 is considered to be the year when the brewery was founded. Brūža alus is a beer series especially created by the Head Brewer of Cēsu alus brewery Māris Grambergs, including 3 beer varieties – Samtainais, Rūgtais, Nefiltrētais. 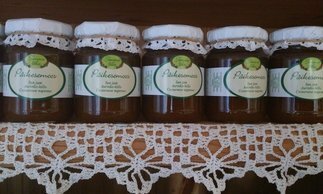 Nefiltrētais may be a delight to lunch table and will fit well with various Latvian dishes. Samtainais is a dark amber-type beer with a velvety flavor, but Rūgtais – light malt of Pilsen with Magnum hops make it bitter with a pleasant flavor. It is a variety of 4 different biscuits, each of them have special symbolic meaning. Fortune money, walnuts - chocolate, tea and noiseless biscuits are packed in special box designed with a city symbol Lantern and legends about Cesis. 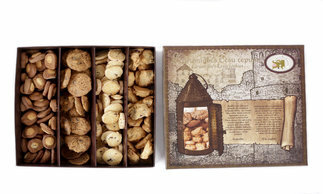 The Cesis Cookie Box with the stories about Cēsis will be a great gift for every guest which decides to visit Cesis! 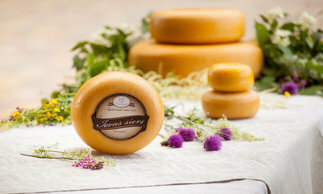 High quality hard cheese (Ieva's cheese) is a pride of local farm "Vecsiljāņi". Various types of cheese are produced from unpasteurized milk of the highest quality, from the morning milking. The selection includes Ieva's cheese with nettles, clover seeds, truffles, tomatoes, basil, onions, ginger, chili, pesto and more. 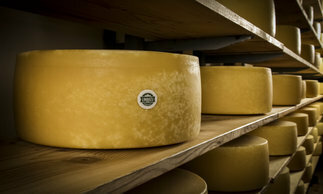 Visitors can taste cheese and walk through the farm and cheese production plant. The visit must be coordinated with the owners. More information here. Safari park and biological deer farm "Zemitāni" proudly offers tasting and purchase of local venison specialties - salami, sausages, bouillon, smoked ham. Currently, on approximately 300 hectares they have around 1200 animals, including mouflon, European bison and wild boar. The visit must be coordinated with the owners. The biological farm “Janavas” grows herbal tea plants such as blue dragon, purple cornflower, peppermint, and lavender, as well as other plants. 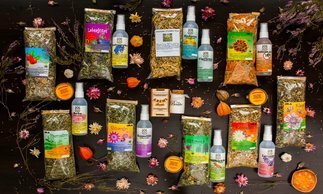 Visitors are can take an informative tour, taste delicious teas, purchase cosmetics and look after a calm and a silence on barefoot trail around farm. Visitors also can enjoy and test the effectiveness of make-up during a facial massage. All products are also available for sale. 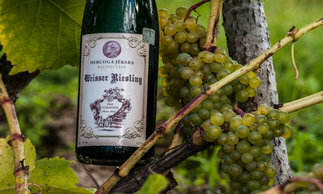 Locally made traditional high quality grape wine “Weisser Riesling’’, “Chardonnay’’ and “Blauer Frühburgunder’’ made of grapes grown in Renda, the Abava valley. The area of the vinyard covers 3.5 ha and has 9000 plants with 19 “Vitis vinifera’’ grape varieties. Where? Reķi, Kroņrenda, Renda parish, Latvia. Booking necessary. 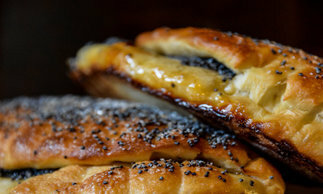 Buns baked with poppy-seeds according to an ancient recipe found during the Hanseatic history research of Kuldīga. “Makkabi’’ (Liepājas street 9), “Dārziņš’’ (Baznīcas street 15), “Daigas beķereja’’ (Liepājas street 23), “The Marmalade’’ (Pasta street 5). 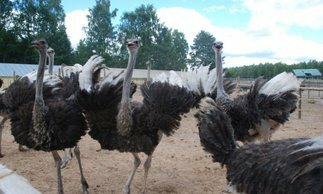 Ostrich farm “Nornieki” is the largest ostrich farm in Latvia and proudly invites you to a gourmet tour! 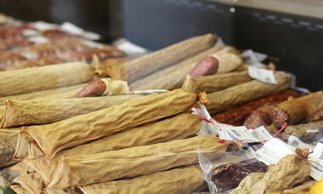 Here you can taste ostrich meat products such as liver pastes, meat pastes, cold and hot smoked sausages or even have a rich meal — omelet or dessert made from ostrich eggs, ostrich meat bouillon soup or burgers. The farm is located in a beautiful location where you can slowly enjoy the nature and the delicious taste of high quality food. The visit must be coordinated with the owners. Where? Snēpele parish, Nornieki, Latvia. Bread that is recognized by its flavor. 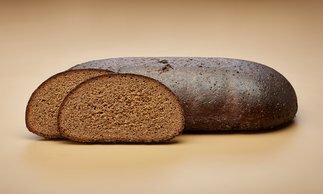 Dark rye bread made of parboiled flour. Baked right on clay without dark malt. Filled with different kind of fiber. Canon of Brown-bread in Latvia. Defended by Regulations of European Union. By prior appointment excursions can be arranged. Where to buy? Fresh bread, cookies and all production in it's best quality and variety are offered in the shop at the bakery. Dark rye bread is available in other shops in town as well. The company specialises in hard cheeses – “Dutch,” “Russian,” “Maasdammer,” “Sole Grosso” and “Grande Duro,” which is made of high-quality local cheese and cheese yeast from Italy. Cheese factory is located just near the Old Castle ruins and very possible that in that place already in Medieval Times some local products were produced. Local wine that brings one of the former names that was used within medieval times- Lemsel (most know as Lemisele or Lemsal). Where to buy? 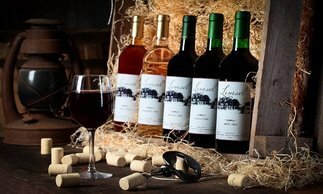 At the moment wine can be bought in fairs in Limbaži and by prior appointment in organised degustation places. Butter with hemp. 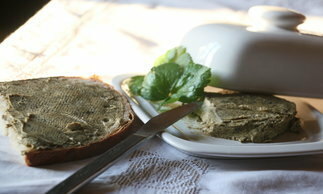 Hemp's butter consists of the highest quality sweet pea butter and ground hemp seed. Hemp seeds contain essential unsaturated fatty acids and proteins for the body. Rožkalni hand made bread. Made using an ancient recipe without additives and flavor enhancers, with natural yeast. 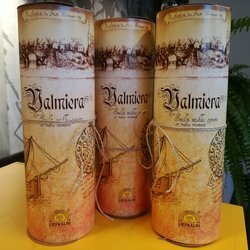 The aroma and flavor are very unique! Various flower honey. Harvested in the Gauja National Park. A nature's sweet treat. Made by beekeepers Mārtiņš Krauklis and Otto Abzalons. 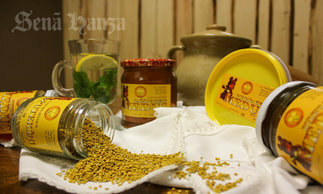 Herbal tea with natural drogs and herbs such as mint, black berries, camomile and others. There is an image of the herb garden of the Valmiera Museum on the box. The herb garden of Valmiera Museum invites travellers to learn about 150 different species of medical herbs and plants while enjoying a refreshing cup of tea. 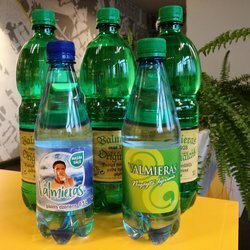 The drink is a good known product in the region. It is well known for its' medical and curative properties. Delicious and slightly salty biscuits, sweet with sand dough and rye breadcrumbs - biscuits to every taste can be enjoyed and bought in Valmiera smaller and bigger shops. Biscuits are made from local ingredients using original recipes. 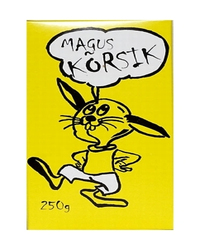 Traditional Estonian sweets „Kõrsikud“. Stick-shaped biscuits made of wheat flour, sugar, vanilla. The company Hellar & Pojad are still using the original 1978 recipe. Locally brewed craft cider and sparkling wine made of apples. 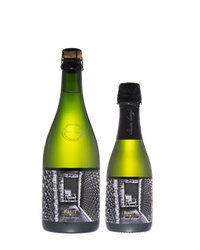 Jaanihanso is a certified organic cider producer and its ciders have been awarded in cold and silver medal. Products which are made from herbs, chilli peppers, berries, and vegetables grown and processed at Tamme Farm. The selection includes tea mixes, flavoured salts and spice mixes, spicy and gourmet jams, and herb oils. Traditional local rye bread, which is baked in a wood oven. 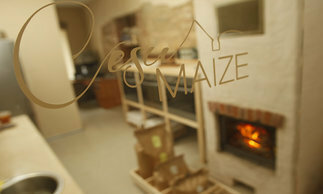 Carefully selected raw material with the twist of warm and homey feeling. 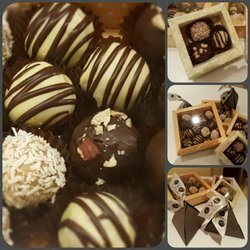 Handmade chocolate truffles with dark chocolate and different nuts.